Todd brings a wealth of knowledge with his education, sales and marketing experience. 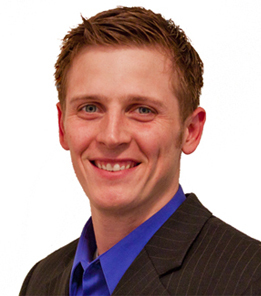 Todd has a BS in Business Administration and an MBA in Marketing, Certified Business Broker and a Licensed Realtor. Todd has worked in various fields within sales management, marketing consultation and solutions, direct mail and online advertising services as well as small business process management. His experiences within the sales field have been very successful and his innate ability to work with both sides of a deal and have a great close rate have been his driving force to enter in to the business of helping business owners sell their business in the manner in which we do. Todd is eager to meet with you to discuss "in full confidence" the sale of your business. Or if you are a buyer looking for your first business or franchise, or looking to expand your current business, tell me what you what you want and we will find it. Todd will exploit his wealth of knowledge and work closely with you to get you what you want where you want to go. Selling or buying a business can be a stressful and confusing time but Todd will put your mind at ease and make this process smooth and seamless.